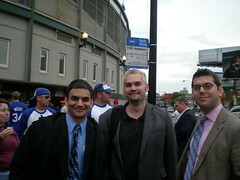 These guys in the picture trusted me to take them to John Barleycorn from Downtown. With the cubs game the same evening it was good we took the Metro. $2 took us from the redline station Chicago to Addison. The walk from the station is about 2 blocks. The interior is similar to most pubs. The place is huge. I wish I had more time to review this but in the 15 minutes I spent there nursing my 312 beer. First time I am having this local Chicago brew from Goose Island Beers. This is not available in Maryland and is unfiltered. The taste was very good of freshly brewed hops. It took us about an hour to go to Midway airport from JohnbarleyCorn. 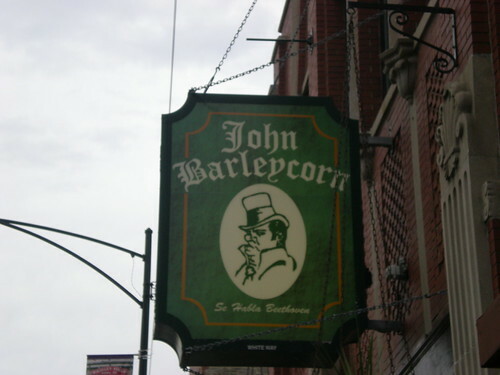 When i go back to Chicago I plan to go back to this place. What is the brew that is a speciality in your town ? It always good to try the beers that you don't get to taste regularly.